The Grand Hotel has a significantly long history of support of Newcastle SLSC. Conveniently located in the East End in Church Street, at the top of Bolton Street, Newcastle, come along and check out the weekly Friday night raffles from around 5.45PM with great tray prizes, enjoy the atmosphere in the bar and stay for dinner. A top way to enjoy the end of the working week. Meet friends or other club members for a drink or dinner, and help the Grand support us. Port of Newcastle’s mission is to promote and support the prosperity of the Hunter Region and New South Wales in a sustainable manner. Port of Newcastle recognises the importance of the port to the community, business, industry and government, and will strive to develop and maintain a strong relationship with all stakeholders. The Port of Newcastle has assisted Newcastle Surf Life Saving Club with its new recruit training program for the 2014-2015 season through its Community Partnerships Program. This assistance has helped new Bronze Medallion and Surf Rescue Certificate candidates become full patrolling life savers continuing to serve the community on our beach. Port Waratah Coal Services have been a long-time supporter of Newcastle Surf Life Saving Club providing vital funding assistance in all operational areas of the club. Several pieces of major capital and critical club equipment have been purchased over the years with the assistance of funding from Port Waratah Coal Services. This equipment is essential to Newcastle Surf Life Saving Club’s surf rescue, patrolling and incident prevention capabilities. PWCS funding has also assisted Newcastle SLSC with its bridging initiative providing rookie cadets (13-15 year olds) to stay active and involved in the lifesaving movement by membership and training scholarships assisting candidates to gain their Surf Rescue Certifcates (SRC) and Bronze Medallion (Cert III in Aquatic Rescue) and become full patrolling Lifesavers. Before this rookie program was designed and implemented by Newcastle SLSC the 13-15 year olds were one of the largest demographic groups to leave the club since nippers finishes at 14-15 and move toward the adult ranks. PWCS undoubtedly gives to the community in many ways and Newcastle SLSC appreciates their support and will continue to do so into the future. We one day in the not too distant future hope to have new larger club facilities able to accommodate our equipment, member and event facilities, member size and operational capacity. Doito Abrasive Blasting is another valued supporter of Newcastle Surf Life Saving Club. Doito has provided its industrial painting services whenever equipment needs repaired or is required for events. Doito has also assisted the club both logistically and financially to ensure the club’s Australian Championships squad is able to travel interstate to attend and compete at the Aussies. 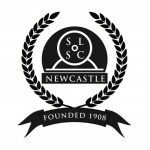 Newcastle SLSC also has many smaller contributing members and supporters who assist the club financially and every little bit helps to make our club strong and financially and operationally sound. Newcastle SLSC thanks all of its sponsors and supporters for their efforts and contributions to help keep our beach safe each summer. For grants, donations and sponsorship inquiries, please contact the Club Secretary James Elliott.